Inside of the fruit there is a milky pulp, covered by a thick peel. This covers a very hard shelled seed which is the Argan nut. The Argan nuts contain up to three oil rich white kernels from which Argan oil is extracted. No matter which method is used to press the Argan Oil and extract the pure oil the process always starts the same way. Pure Argan Oil contains nothing but the pressed Argan nut kernels. > Anti Oxidant Tocopherols – with twice the Vitamin E content of Olive oil. > Essential Fatty Acids – Omega 6 and Omega 3 healthy fatty acids. 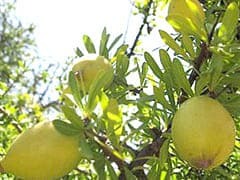 Are Cosmetic and Culinary Argan Oil Made the Same Way? There are two types Argan oil, cosmetic and culinary and both are made using the same Argan Nut Kernels. Both of these oils contain very similar levels of nutrients and vitamins made purely from Argan nut kernels that have been cold-pressed. However, each type of oil is processed in a slightly different way. Scented, single filtered Cosmetic Argan Oil is a medium yellow colour and contains more sediment that a pure doubled filtered oil. The double filtered oil has no noticeable smell and has a slightly richer omega fatty acid content. 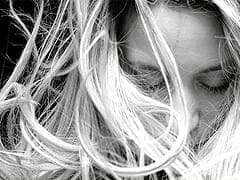 It is the Cosmetic oil that has been traditionally used for its anti ageing properties, on the hair, for treatment of sun damage to the skin, burns and skin problems such as Eczema. Pure “deodorised” Argan Oil is recommended for use for hair treatments and is the preferred choice for anti aging moisturising treatments. Single filtered cosmetic oil is also good for cosmetics use but is reported to be a better choice for skin problems and very dry skin. The edible version, culinary Argan oil, is golden brown colour and is used for cooking and eating. To produce this oil the Argan nut kernels are first toasted. The toasting changes the properties of the the oil making it unsuitable for cosmetic use. Toasted, edible Argan Oil has a golden brown colour and delicious nutty flavour. Traditionally, Argan Oil is extracted by women. After removing the covering the Argan nuts are broken with stones and the kernels are air-dried in clay containers. After cooling the kernels are ground and made in to dough by mixing with water for several minutes. It takes about 1 week and about 150 kg of raw fruits to make 5 litres of oil. Argan trees will make up to 150 kg of fruit, producing about 5 litres of extracted oil, on a good year. This method of production is no longer in general use. The oil produced is lower in nutrients as a result of the higher water content and sediment residue. The vegetable fibre sediments and water content mean that oil produced this way has a shorter shelf life. To improve product content quality the method Argan Oil is made with has been changing in recent years. The extra income the new found interest in Argan Oil has provided means that most co-operatives can now afford to buy modern mechanical presses to extract and Argan Oil made from nut kernels that are cold-pressed. There are a number of advantages to using a mechanical press. A mechanical press is quicker at extracting the oil, a process that was also quite arduous. The Argan co-operatives have also found that the oil produced by the mechanical presses has a lower water content. This lower water content has meant that the oil has an improved shelf life and richer texture. The higher nutrient levels in cold pressed oil also give a longer shelf life. It is the unique nutrient content of Argan Oil that gives the oil its famous benefits for hair and for skin care. If you want to buy pure Argan Oil always check the ingredients of any product very carefully to make sure they contain pure or even any Argan Oil. Beware, of product labelling. 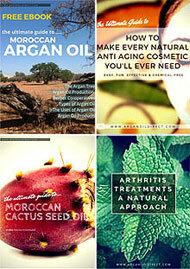 There are many cheap products that are labelled “Moroccan Oil” or “contains” Argan oil. Olive oil also comes from Morocco and so could be called a Moroccan Oil. That is not to say that a product which uses the brand name of Moroccan Oil does not have Argan Oil in it or does not contain some Argan Oil but do check. The same problem exists in commercial supermarket products. Companies like Garnier, Nivea and others produce products for skin and hair using the name Argan Oil in big letters on the front of the packaging. You should also take care when reading deliberately misleading information published on many Argan Oil sites. Many of the “facts” we have seen written about Argan Oil are simply poor marketing tactics that lead you to believe that only their type of Argan Oil is genuine and only their type of packaging is suitable. Always remember that it is only Pure Argan Oil that has the wonderful benefits for you hair and for skin care. 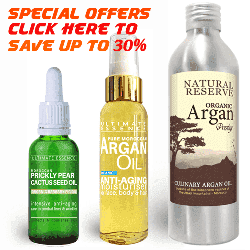 Where to buy organic Argan Oil? You can also buy directly from some of our web pages where you see the “add to cart” buttons. All prices that you see include Free Delivery Worldwide and our products are supported by our money back guarantee.